AGAINST the deliberate undermining of public education and over-testing of our students, then this is your meeting. MORE 101 for the curious- find out what Social Justice Unionism is all about! Ask questions, raise your voice, join a committee. Contract – What do UFTers want, how do we organize and fight against a bad contract proposal, what is the process for voting on a new contract? Take a Chapter Vote to Endorse the Moratorium! 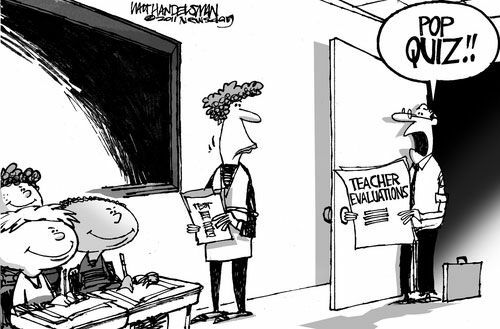 One exciting and quick way to support MORE’s work is by asking your school’s UFT chapter to vote on endorsing our petition for a moratorium on the new “Advance” teacher evaluation system. We’re all fed up with “Advance,” and all the teachers I’ve talked to wish the UFT was doing more to oppose this system and stand up for a better one. My chapter was so excited to hear about this way of pushing the UFT to act that they suggested voting to endorsing this petition right after I showed it to them in our union meeting. I wanted to make sure everyone had time to read up and consider their options before a vote though, so I sent them an informational e-mail, and we scheduled a secret-ballot vote for the next week. Teachers cast simple paper ballots, they were counted by an impartial committee, and then my chapter leader and I composed a letter like the one below. It only took about 30 minutes, and my chapter is excited about their involvement in our fight to build a stronger union and a better evaluation system. You can also take a vote to endorse at your next chapter meeting. We will present the petitions and chapter endorsements at the November 20th delegate assembly, when we raise a resolution calling for a full repeal of this flawed evaluation scheme that was imposed on us. On (date) we, the UFT chapter of (insert school name here), voted to formally endorse MORE caucus’s Petition for a Moratorium on the “Advance” Teacher Evaluation System. The chapter endorses this proposal and encourages our leadership to act quickly in the face of actions that jeopardize our profession and our students’ quality of learning. 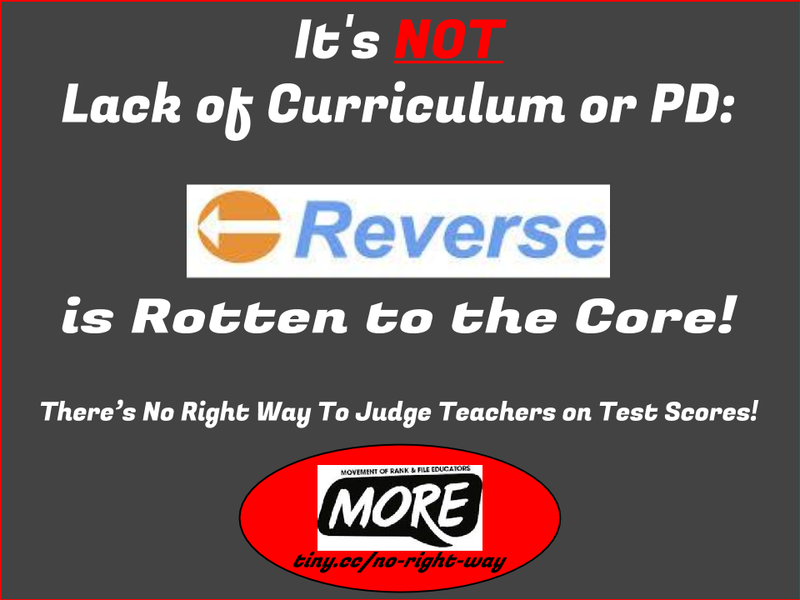 There’s No Right Way To Judge Teachers on Test Scores! Too Little, Too Late, Mike!